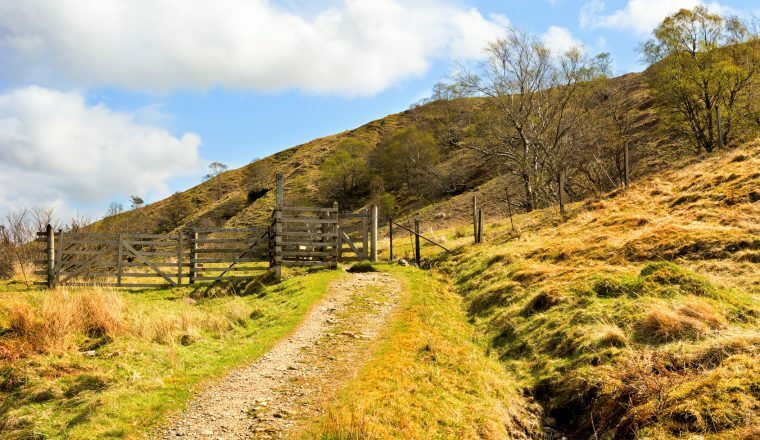 The most popular long distance path in Scotland, the West Highland Way offers a superb range of scenery from woodland, rolling farmland and beautiful lochs to dramatic mountain views. Starting off in the lowlands at Milngavie, this route takes you 96 miles through the landscapes of the Western Highlands, finishing in Fort William at the foot of Ben Nevis, the highest mountain in Britain. 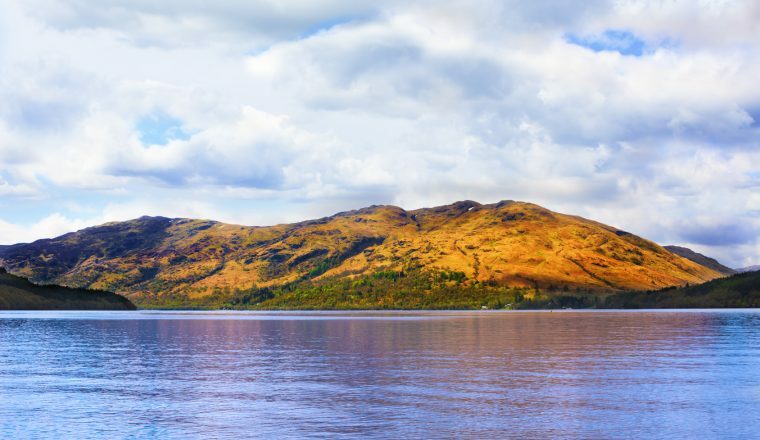 The landscapes evolves throughout the journey as the rolling farmland gives way to the shores of Loch Lomond with views over the largest freshwater expanse in Scotland until reaching its head at the village of Inverarnan. Past Inverarnan, the trail takes you up Glen Falloch and Loch Tulla before crossing the vast and remote wilderness of Rannoch moor. The way continues with a climb up the ‘Devil’s Staircase’ providing fantastic mountain scenery before descending to Kinlochleven. The journey finally ends in Fort William at the head of Loch Leven with views of Ben Nevis and Aonach Eagach. Milngavie is about 20 minutes from Glasgow. 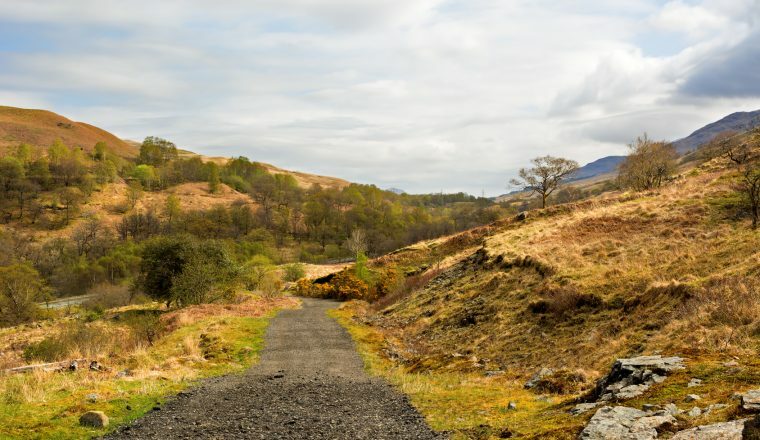 Settle into your accommodation and get ready for your walk along the West Highland Way. Part of this section goes through hilly farmland before ascending Conic Hill where the views over Loch Lomond can be enjoyed. The path then descends to continue along the shores of Loch Lomond itself, sometimes passing through forest until reaching Rowardennan. Beginning at the foot of Ben Lomond this section of the route climbs alongside Loch Lomond on forestry tracks supplying fantastic views over the Loch and also of the Arrochar Alps. Past Inversnaid the path becomes more undulating and rougher. After passing Rob Roy’s cave this next section is tough with a lot of climbing and descending before arriving at Inverarnan. This section of the route continues on good paths and is less strenuous, coming as a relief after the more challenging section of yesterday. Climbing through Glen Falloch you will be rewarded with views of the Falls of Falloch whilst superb scenery is on offer with views back over Loch Lomond and of the mountains Ben More and Stob Binnean. The path then passes through woodland until descending towards the valley floor and on to Tyndrum. This next section of the route is the longest of the trip but will not go unrewarded. 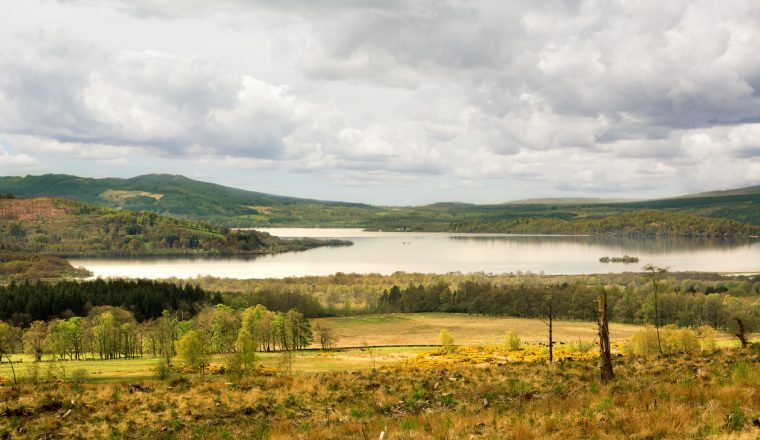 The going is good on military roads and in the first half of the day there is stunning Highland scenery on offer with views over Loch Tulla and the Black Mountains. In the second half of the day the route takes you across Rannoch Moor, arguably the most famous part of the route. Highly exposed and with a wild feel it is a beautiful place. However, in bad weather this section can be challenging. After crossing the moor you will arrive in Kingshouse, with views of Buachaille Etive Mor. Continuing onwards from Kingshouse, the way takes you to Altnafeadh with views of the ‘weeping glen’. The trail then ascends the ‘Devil’s Staircase’ to the highest point of the West Highland Way with views over Blackwater reservoir and the Glencoe mountains. In good weather Ben Nevis can be seen. You then descend into Kinlochleven. On this final day of walking you climb out of Kinlochleven to once again cross a high pass where the path continues along a valley before entering forest and takes you into Glen Nevis. With the mighty Ben Nevis ahead of you, the final two miles takes you along the Glen Nevis road into Fort William where you complete your journey. There are regular buses from Glasgow airport to the city centre. Buses stop at Glasgow central or Glasgow Queen Street Stations. Journey time is about 30 minutes. The fares are about £5.00 per person. From either station, there are frequent trains to Milngavie. Journey time is about 30 minutes (sometimes with one change – check at the station). Taxis from the airport to Milngavie cost about £25.00 and take about 30 minutes. From Edinburgh airport, take the train, shuttle bus or taxi to Haymarket Station (these trains also leave from the more central Waverley Station). Trains leave normally every 30 minutes, going direct to Milngavie. Journey time is about 90 minutes. It can be a bit quicker (but more confusing) to take a fast train to Glasgow Queen Street station and change there. From Glasgow Central and Queen Street Stations, there are regular trains to Milngavie (see above). Taxis from the station to Milngavie cost about £15.00 to £20.00 and take about 20 minutes. Taxis from your Hotel to Milngavie should normally cost around £10.00. To get back to Glasgow, take the train run by Scotrail, or the Citylink bus south to Glasgow and travel on from there (timetables enclosed). Any day (subject to accommodation availability). Best time late April through October.